Dubai is not only about the sea, sand and marvelous modern architecture, but speaks volumes about its history and heritage as well. From ancient spice markets and glamorous gold souks, to humongous theme parks to luxurious and sky touching hotels, Dubai is complete in itself in terms of entertainment, luxury lifestyle and adventure. For day 1 we keep the heart of the city as your chief exploration zone with all major landmarks covered with equal importance. The day reflects the best of Dubai’s most popular spots and you can enjoy exploring and filling yourself with rich information about the history and culture of the city. 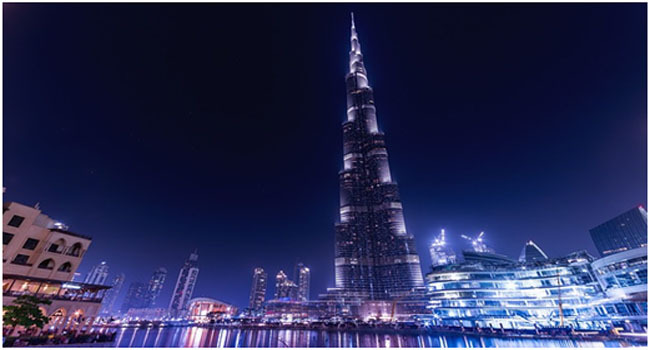 We start the day with a trip up to the tallest skyscraper on Earth and a true architectural marvel- the Burj Khalifa. Once atop the observation deck at the 124th floor, wonder at the bird’s eye view of the entire city and enjoy the billowing wind and beautiful cityscape. After the highest climb we drive you to the Al Fahidi Fort which houses the Dubai Museum. Built way back in 1787 the fort is the oldest historical monument in Dubai. 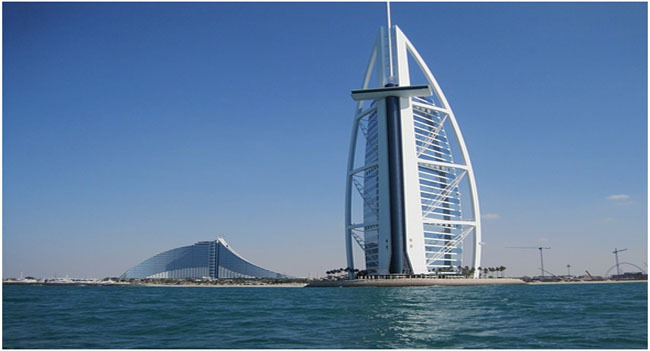 You can explore the place and add to your knowledge about ancient city of Dubai and its magical transformation from an old fishing town to this modern high end city. 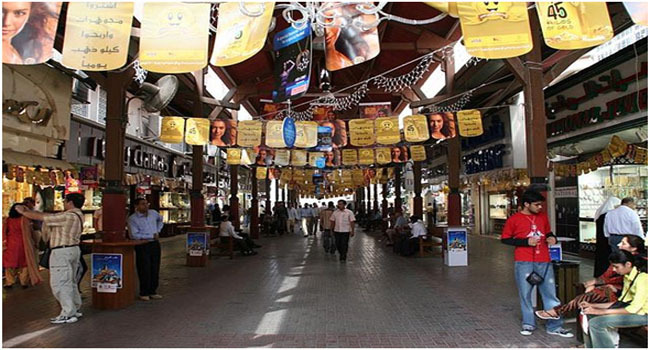 Stroll through the old spice markets and gold souks by the creek and sniff the aroma. Pack your bags with authentic local hauls and enjoy adorning yourself with gold ornaments. Whether you want to buy or not, local souk owners will be more than willing to let your try their dazzling gold on yourself! Please your sweet tooth with Arabic sweets like the filo pastry and cream dessert at the famous Habiba Al Nabulsi restaurant. This five star hotel is a remarkable architecture with its sailed shaped silhouette set in the middle of an island. Photobomb on the Jumeirah Beach against the spectacular background of the Burj Al Arab and marvel at the view of the setting sun as you wind up your day with a relaxing walk along the beach. Get ready for an adventure pack day 2 as we take you a bit off the city hub. Engage in various fun activities throughout the day. We start the day at the break of the dawn and head straight towards the Arabian Desert. 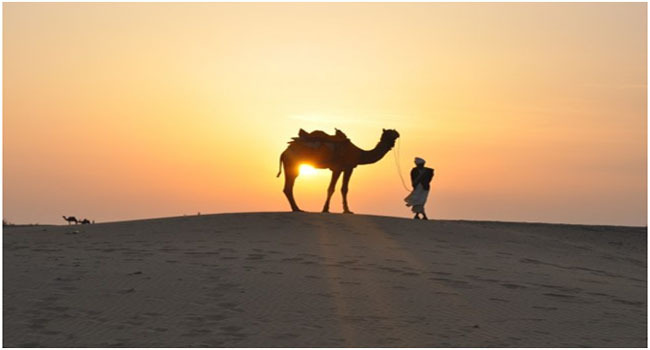 The sand dunes and its vastness will mesmerize you and a relaxing camel ride will take you to unexplored areas of Arabia as you observe the flora and fauna of the desert. During your morning desert safari in Dubai, make sure to opt for adrenaline rushing activities like sand dunning, falcon display, squad biking and sand boarding if you the adventurous one. Enjoy a relaxing meal at the Bedouin tent before you depart for the next stop. Dubai Mall houses the indoor ski park which is the first indoor artificial snow park with skiing slopes and many fun activities. 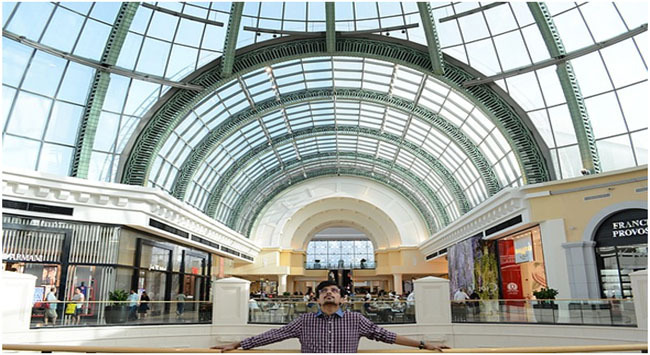 The Dubai Mall is the world’s largest and shop to your heart’s content as you gape through multitude of options to shop till you drop! Truly a shopper’s paradise! The last day is planned with an amazing underwater experience to a more relaxed dinner out in the sea. This is one of the favorite places to hang out with the entire family. See various unique sea creatures swim past you as you walk through the glass tunnel. The tube gives you a 180 degree view of the sea world with sharks, sting rays and several exotic fishes. There is a creepy crawly corner for snakes and reptiles as well. 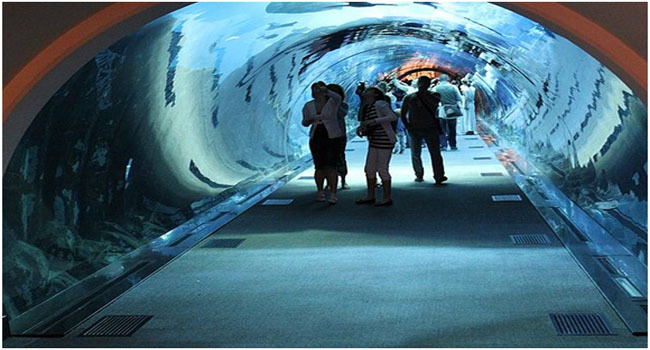 Enjoy its enchanting ambience and go behind the scenes and understand the magic behind the gigantic aquarium. 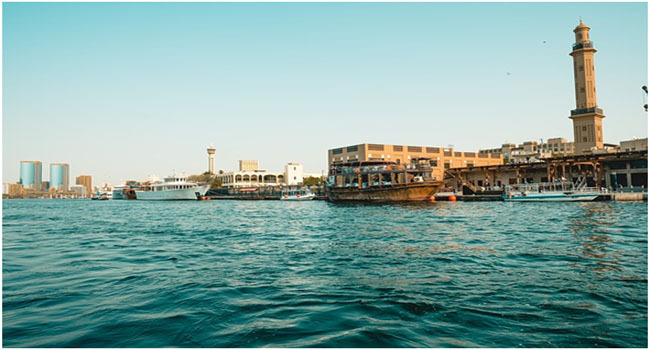 After the quite exploration sail through the saltwater Dubai creek and enjoy a traditional dhow cruise ride. Enjoy stories by our guide as you glide through the blue waters with towering buildings lining both its banks. Enjoy glorious views of the sunset and relish scrumptious dinner in the dhow as you set sail in the dark waters enjoying the cool breeze and the glittering stars above. We provide convenient and comfortable air conditioned vehicle for a pick up and drop as well as intra city commuting so that you can worry less and enjoy more and make full use of your stay at Dubai! 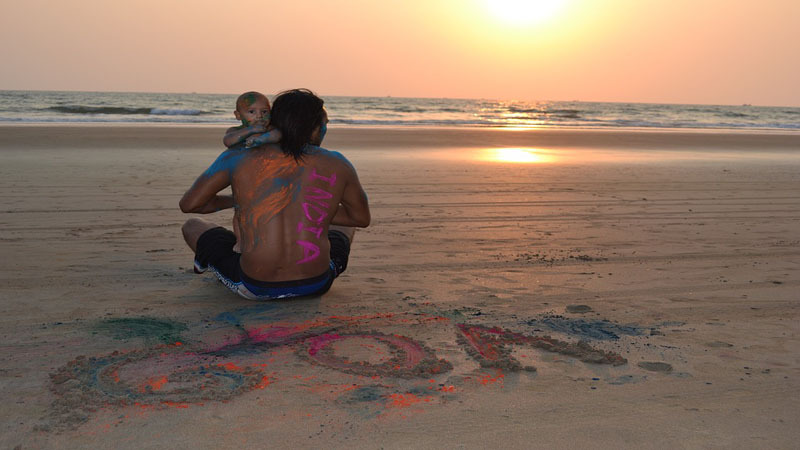 Book now to avail special discounts and see the city in new light! 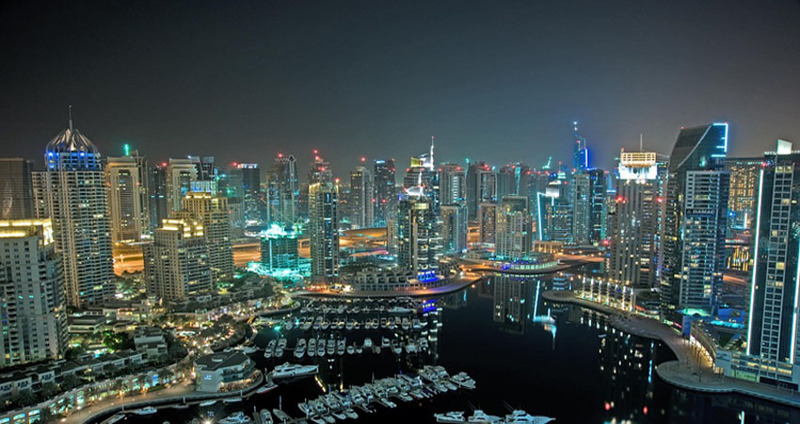 Read More : Don’t miss the best attractions in dubai.